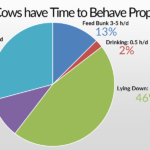 Variability in the percent fat of our ration ingredients can often wreak havoc on a herd’s milk fat production. 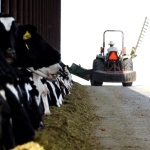 In an effort to move us toward a more proactive approach, listen in on this real world case study involving corn germ and see how fatty acid variability could potentially affect your cows and your profit! Identify the sources of variability in % fat in your diet ingredients. 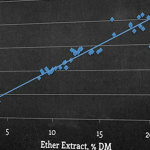 Create sampling protocols for both the TMR and high risk ingredients to reduce variation. Work with your ingredient suppliers to minimize variability.